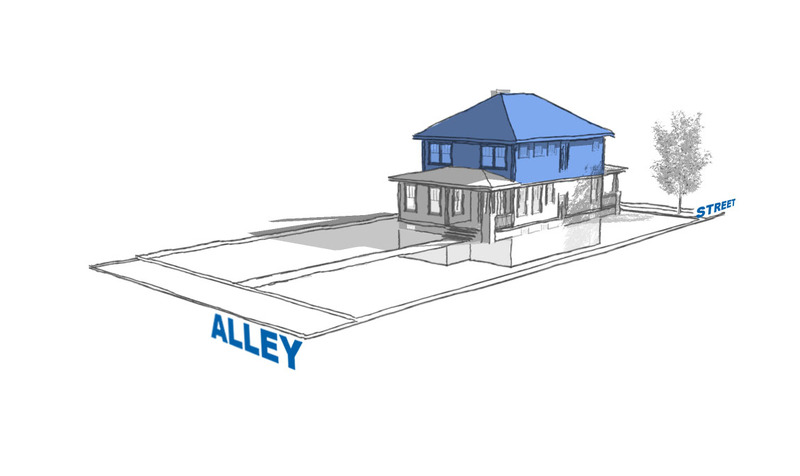 The City has allowed detached accessory dwelling units (ADUs) in much of the city since 2003, although relegated to zone districts that allow more than one dwelling unit on a property. Because the need to provide housing to aging parents, dependent or disabled adult children or other family members should not be limited those within the allowed zone districts, the City is proposing to allow this type of housing throughout Colorado Springs. Expanding the use of ADUs in single-family zoned neighborhoods will give property owners in all residential zone districts the same opportunity to provide accessible, and semi-independent, housing for family members or as an investment in the property. This ordinance will also loosen some of the strict requirements currently applied to ADUs in multi-family zone districts. What is currently allowed and what would be different? "Two-family" and "multi-family" zone districts as well as some commercial areas Expand to include "single-family" zone districts. HOAs may opt to prohibit ADUs. 750 square feet, not including decks or stairs Sized according to the size of the principal home, utilizing a formula of 40% or 50% of the finished floor area of the home up to a maximum of 1,250 square feet. Properties will also be restricted by the maximum allowed building coverage allowed by City Code. No requirement In single-family zones, the property owner is required to occupy either the principal home or the ADU as their primary residence. Exceptions may be made for deployments or other qualifying life events. If your property is zoned as “two-family” or “multi-family," you can rent out both the main house and the ADU. ADU must be designed to maintain the architectural character of the principal structure or principal structures in the vicinity. An integrated unit cannot propose design modifications to the exterior of the principal structure that indicates their presence from the front of the principal structure including an exterior staircase. How do I find my home's zoning district? I already have an ADU on my property. How will these changes affect me? Pre-existing, legal ADUs in multi-family and commercial zone districts will not be affected. Can I split my ADU into its own lot and sell it? In the A, R, R-1 9000 and R-1 6000 zone districts, the accessory dwelling unit shall not be sold separately from the principal dwelling unit, nor shall the lot on which an accessory dwelling unit is situated be subdivided unless subdivision is permissible in accordance with all provisions of Article 3 and Article 7 of the zoning code. Does the new ordinance override my HOA? The proposed changes to City code do not override Community Covenants. HOAs may still opt to prohibit accessory dwelling units through their covenants. Please check with your HOA for more information. Can I post my ADU on a house-sharing site such as AirBNB or VRBO? Yes, short-term rentals are allowed in single-family zoned areas and have different permitting requirements than ADUs. Homeowners can use the house or the ADU for short term rental purposes, however, the requirements are more strict for properties with ADU in that the property owner must live in one of the dwellings. A homeowner is allowed to rent the ADU to a “long-term” tenant and rent a bedroom within their home as a short-term rental as well. Please see the short term rental webpage for information on permitting requirements. What kind of ADU can I build on my property? 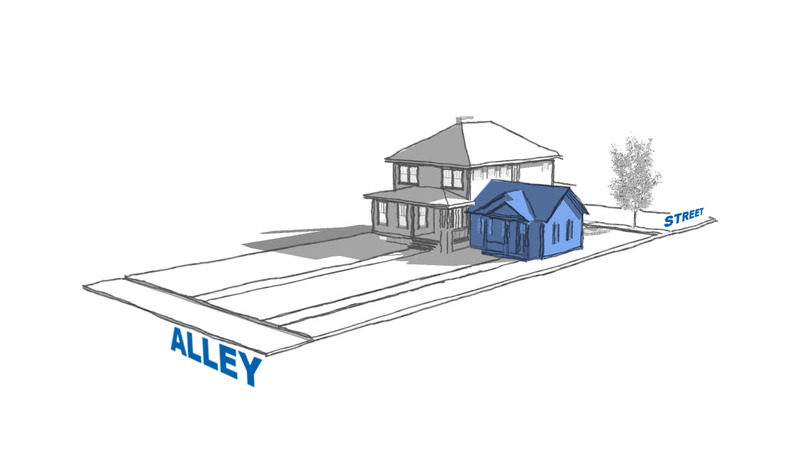 City Planning is proposing two types of ADU, an “integrated” and “detached” units. Both types are currently allowed in “two-family” and “multi-family” zone districts. 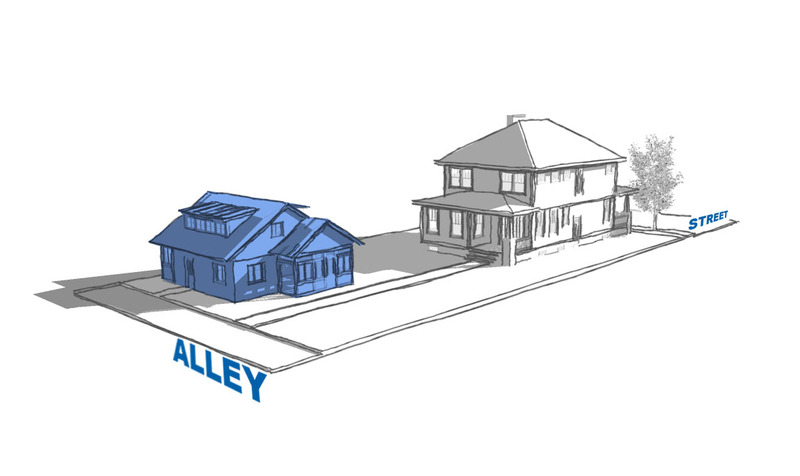 With the code change, “single-family” zone districts would be allowed to also construct both types of ADU with restrictions based on your property’s zone district, your existing home’s size, and whether your property has access to a public alley. Can I use a tiny home, pre-fabricated, or manufactured home as an ADU? Yes. However, there are differences between these types of construction requiring different types of permit reviews and inspections. Please contact the Pikes Peak Regional Building Department to discuss permitting requirements. Tiny homes must be attached to a foundation and connected to utilities. A tiny home which is on a trailer cannot be used as a dwelling unit, even if the trailer is skirted; tiny homes to remain on a trailer are permitted within designated campgrounds. Can I use a recreational vehicle as an ADU? No. City Code does not permit recreational vehicles to be used as permanent residences outside of a designated campground or mobile home park. Does my ADU have to have exterior access? No. An “integrated” ADU must provide internal access between the ADU and the main home to maintain the integrity of the one structure. However, it is not required that exterior access is provided unless otherwise required by Fire Code. All exterior accesses to an ADU must be located on the side or to the rear of the home. Do I need to tell the City if I'm renting a room to a family member? The proposed ordinance will not affect property owners who rent or provide living accommodations that does not meet the definition of an ADU (separate and independent sleeping room, sanitary facilities, and kitchen). However, if the living space being rented to the family member provides the aforementioned facilities and you live in a single-family zone district, you will have to complete and sign an affidavit assuring the homeowner is living on site. How will you enforce this ordinance? The City's Neighborhood Services Division will field complaints about ADUs. If you suspect an issue during an ADU's construction, please contact the Pikes Peak Regional Building Department. 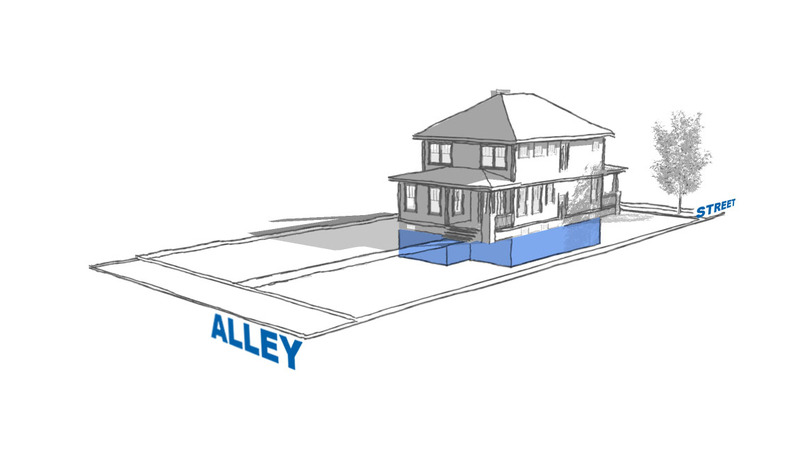 Am I required to install separate utilities for an ADU? A detached ADU may connect to utilities independently or tie into the primary home's utilities. Please contact Colorado Springs Utilities with specific questions. What do I need to do if I want to start building or convert existing space to an ADU? Contact the Planning and Development Department to see if your property qualifies for an ADU. Contact your HOA to confirm whether your neighborhood has any covenants which prohibit secondary apartments. Submit a pre-application meeting request to the Planning and Development Department to meet with a Planner to discuss all applicable regulations, permits, and fees. Contact the Pikes Peak Regional Building Department to learn more about building permit fees and requirements. How do ADUs reflect the desires of our community? 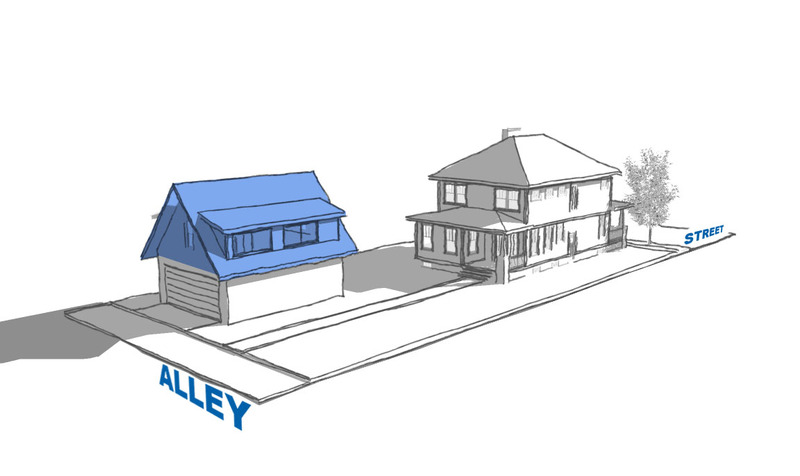 Expanding the use of ADUs to single-family residential areas has received support and been noted in several city plans including, PlanCOS, the recently adopted comprehensive plan for the city, Age-friendly Colorado Springs, 2019 Community Development Action Plan, the Infill and Redevelopment Action Plan, and others. Additionally, the following boards and commissions have voiced their support: City Planning Commissions, Committee on Aging, Human Relations Commissions, Code Scrub Committee. Am I required to build an ADU under this ordinance? No. This additional dwelling unit allowance is elective. Public open houses occurred February 20, 25 and 26 of 2019 to present the revised ADU ordinance, answer questions and receive feedback from residents. March: Presentation to City Planning Commission for recommendation to City Council. April: Presentation to City Council for consideration of the proposed ordinance (two readings of the ordinance are necessary). May: Likely period when ADU Ordinance would take effect (note that City Council can opt to designate an effective date of the ordinance). June: Continued citizen outreach, the creation of ADU handout and information, and creation of permit for single-family homeowners.